What if everyone reading this post helped just one person impacted by Target layoffs find a job? What if each of us reached out to one Target Canada employee that we knew and successfully completed a five minute favour? 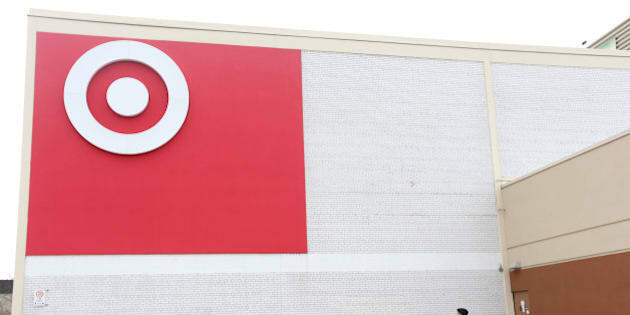 When Target launched in Canada a couple years ago it was met with a lot of excitement because a new competitor entered the Canadian retail landscape. So when the announcement was recently made that Target Canada was closing down all of its Canadian stores, it sent shockwaves across the retail industry. Of greatest concern were the 17,600 Target Canada employees soon to be out of work shortly after the Christmas holidays. Those huge job losses are even more staggering given the cascading effect on manufacturers, vendors, agencies and others doing business with Target Canada. It's not a stretch to say these job losses will directly (or indirectly) adversely impact many households across Canada. A former colleague of mine who works there is impacted, yet remained dignified when I reached out to check on them last week. I wondered who else needed help and what others could do to assist them? Some searching on LinkedIn revealed my former colleague was my only "first connection" -- that is an impending 'free agent'. Over 560 (second degree) connections and 3,227 (third degree) connections within my LinkedIn network combining for 3,790 are impending 'free agents' who are leaving Target Canada in the future. Candidly, I have zero financial incentive here but after discussing this with an HR executive recently and seeing social media status updates "To Win a Free iPad" receive tons of "Likes" it caused me to be moved to action. What if everyone reading this post helped just one person impacted by Target layoffs find a job? What if each of us reached out to one Target Canada employee that we knew and successfully completed a five minute favour as per Adam Rifkin's concept described in great detail in a recent NYT best-selling book by Adam Grant. Proactively call or email someone to just ask how they are doing. Make an introduction to someone in your network who can hire them. Do a search via LinkedIn to see if anyone within your network can put in a good word with the hiring manager where they are interviewing. Offer to help someone who has important interviews scheduled but does not have the means or access to child-care assistance. Invite someone to a networking session you're attending. If you have the financial means to discreetly pick up their costs please do so. Introduce a good recruiter within your network, especially any recruiters you have have helped in past by referring successful candidates. Provide guidance (if asked) on starting a company if you have expertise as those you help could be a future Cora Tsouflidou or J.K. Rowling. If you have a decision-making role within your company, look no further than Sears Canada helping others despite their own difficulties. Share any other ideas you have based on your own personal experience in the comments section below. If you this post helps you or others you know please "Like" it or share it via LinkedIn and other social networks. If commenting means disagreeing with everything I've written here and tearing this post apart then please go ahead. The point is to spread the word by all means necessary and drive some social good to scale. It only takes one Target Canada employee to find a new job because of this post to justify the "ROI" of writing, reading and sharing it. That should be more than enough motivation to ensure by working together we stay on target.